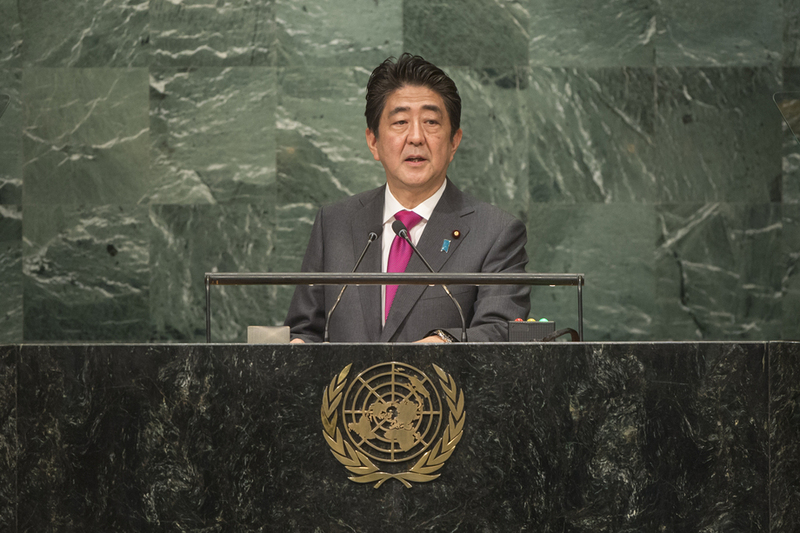 SHINZO ABE, Prime Minister of Japan, underscored the threat that North Korea’s nuclear arsenal posed to his country and to global peace and security, and reminded the General Assembly of the reasons Japan had joined the Organization more than 60 years ago: world peace and the elimination of nuclear weapons. Japan, as a member of the Security Council, would lead discussion on confronting North Korea in a united way. He also recalled that Japan was the second largest donor to the Organization over the past 30 years. His country had been able to achieve its prosperity thanks to free and open trade and investment — factors that had benefitted the entire Asian region, which now had the greatest number of people living under democracy. Reaffirming his country’s pledge of 1.3 trillion yen of assistance to developing countries in 2020 and its commitment to accelerating work toward the early conclusion of the Paris Agreement on climate change, he emphasized the need for Security Council reform. The lack of satisfactory representation for Africa and Latin America required urgent rectification. In particular, he said, it was high time that Africa receive permanent representation on the Council.